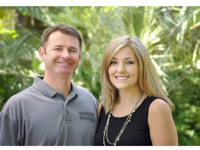 Way to Go Mike & Christine! On Feb. 15, Ice Man, Eugene R. Raines, a Harlem Globetrotter Legend spoke to 50 middle and high school teens at the Boys & Girls Club of Bluffton. 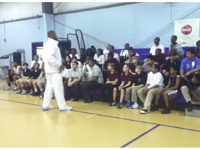 Members held on to every word as he shared his life experiences in basketball, his career goals and a powerful message about staying away from drugs. 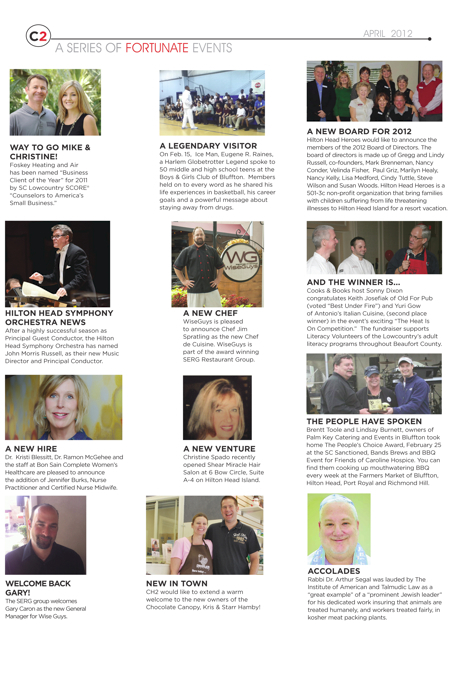 Hilton Head Heroes would like to announce the members of the 2012 Board of Directors. 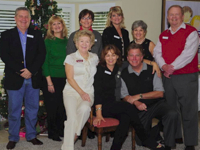 The board of directors is made up of Gregg and Lindy Russell, co-founders, Mark Brenneman, Nancy Conder, Velinda Fisher, Paul Griz, Marilyn Healy, Nancy Kelly, Lisa Medford, Cindy Tuttle, Steve Wilson and Susan Woods. Hilton Head Heroes is a 501-3c non-profit organization that bring families with children suffering from life threatening illnesses to Hilton Head Island for a resort vacation. 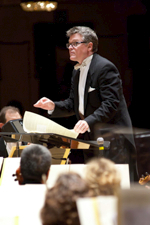 After a highly successful season as Principal Guest Conductor, the Hilton Head Symphony Orchestra has named John Morris Russell, as their new Music Director and Principal Conductor. WiseGuys is pleased to announce Chef Jim Spratling as the new Chef de Cuisine. 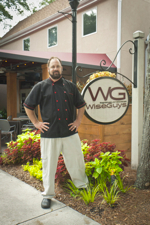 WiseGuys is part of the award winning SERG Restaurant Group. 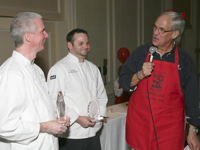 Cooks & Books host Sonny Dixon congratulates Keith Josefiak of Old For Pub (voted “Best Under Fire”) and Yuri Gow of Antonio’s Italian Cuisine, (second place winner) in the event’s exciting “The Heat Is On Competition.” The fundraiser supports Literacy Volunteers of the Lowcountry’s adult literacy programs throughout Beaufort County. 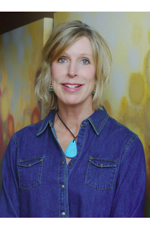 Dr. Kristi Blessitt, Dr. Ramon McGehee and the staff at Bon Sain Complete Women’s Healthcare are pleased to announce the addition of Jennifer Burks, Nurse Practitioner and Certified Nurse Midwife. 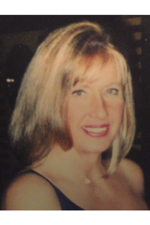 Christine Spado recently opened Shear Miracle Hair Salon at 6 Bow Circle, Suite A-4 on Hilton Head Island. 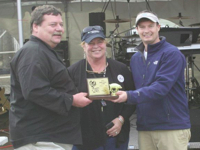 Brentt Toole and Lindsay Burnett, owners of Palm Key Catering and Events in Bluffton took home The People’s Choice Award, February 25 at the SC Sanctioned, Bands Brews and BBQ Event for Friends of Caroline Hospice. You can find them cooking up mouthwatering BBQ every week at the Farmers Market of Bluffton, Hilton Head, Port Royal and Richmond Hill. 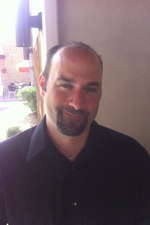 The SERG group welcomes Gary Caron as the new General Manager for Wise Guys. 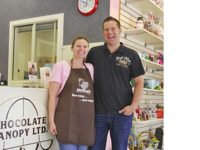 CH2 would like to extend a warm welcome to the new owners of the Chocolate Canopy, Kris & Starr Hamby! 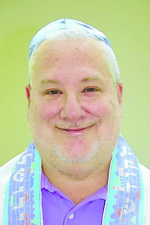 Rabbi Dr. Arthur Segal was lauded by The Institute of American and Talmudic Law as a “great example” of a “prominent Jewish leader” for his dedicated work insuring that animals are treated humanely, and workers treated fairly, in kosher meat packing plants.